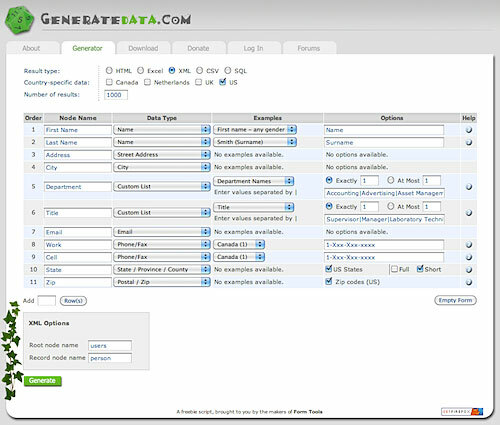 It even has pre-defined lists of names, sample titles, departments, cities, etc., so you don’t have to specify them all. However, you can add or customize your own lists too. The only thing I’d like to see added is an option to generate XML with properties as attributes, instead of nodes. But the source is on GitHub, so you can tweak it as you need to. This entry was posted in RIAs. Bookmark the permalink.